Whistling Swan #411, Cygnus Columbianus, print, This is one of the Audubon series , but is not an original. This print is old, but probably a reproduction from the 1930-40 range. Very nice litho. I have shrink wrapped it to keep the print in excellent condition. 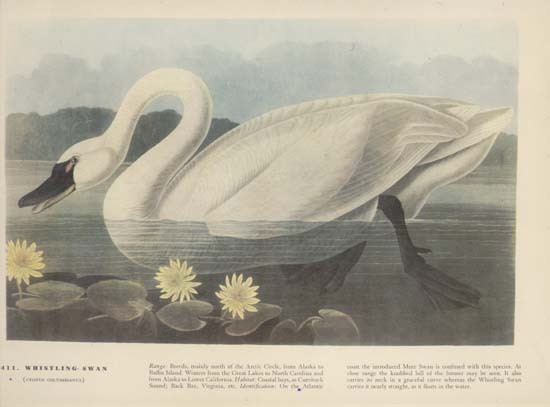 9 x 12 1/2"
Items Similar To "Whistling Swan #411,Cygnus Columbianus, print"
85.4517 2 pc. Green Marble Wall Fountain w/Swan Base.